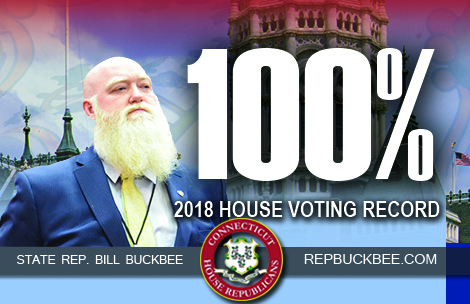 HARTFORD – State Representative Bill Buckbee (R-New Milford) was informed today that he had officially earned a one hundred percent voting record for 2018. This marks the second year in a row that Rep. Buckbee has earned a perfect voting record and has not missed a floor vote since being elected in 2016. Buckbee currently serves on the legislature’s Commerce, Childrens, and Internship committees. In addition to his committee assignments, Rep. Buckbee also joined the School Safety and Security Working Group and the Fire/EMS caucus.